The Cuisinart AMB-9RCK chef's classic non-stick 9" round cake pan is ideal for today's cooks. It has a built in heavy-guage aluminized steel which provide even heat distribution and consistent baking results. The nonstick interior and exterior ensure easy food release and cleanup. The AMB-9RCK also features extra-thick rolled edges which prevent warping promising you a lifetime of great performance. The Chefs Classic Non-Stick Metal Bakeware 9In Round Cake Pan has many exciting features for users of all types. 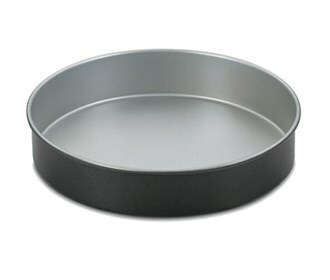 You can extend the lifetime of your Chefs Classic Non-Stick Metal Bakeware 9In Round Cake Pan with the purchase of a FactoryOutletStore Factory Protection Plan. 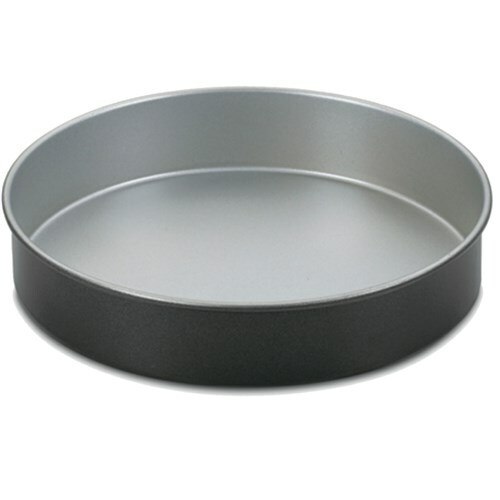 The Chefs Classic Non-Stick Metal Bakeware 9In Round Cake Pan is sold as a Brand New Unopened Item.